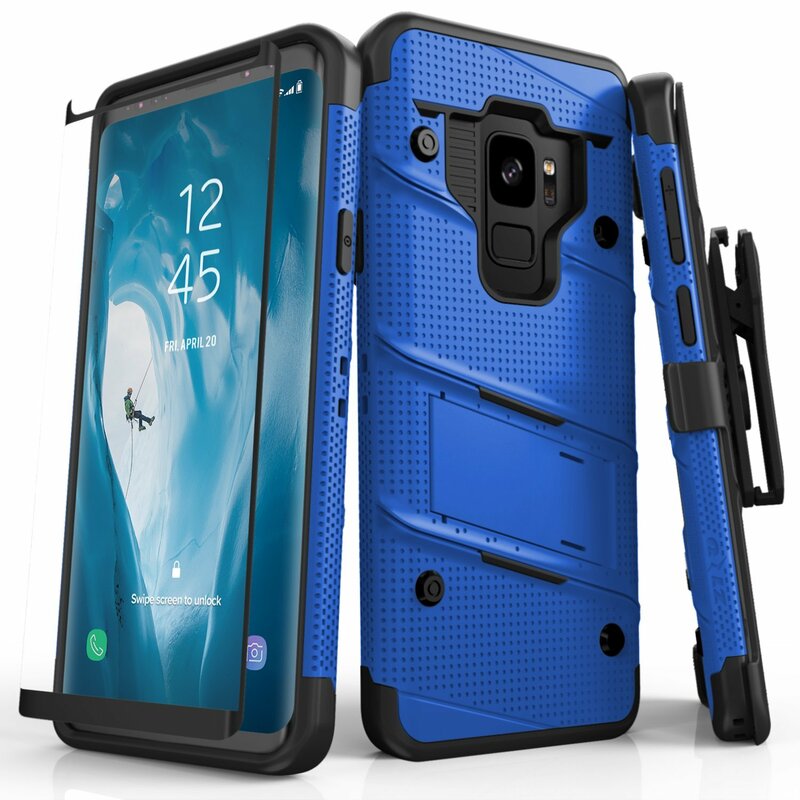 The ZIZO Bolt Galaxy S9 case is freaking awesome. This is custom designed case that looks amazing, and will provide nice drop protection. It has a couple of added bonuses such as a glass screen protector, and belt clip if you ever need to use one. We will have some live video you can check out below as we go over the benefits to using this case. 1. 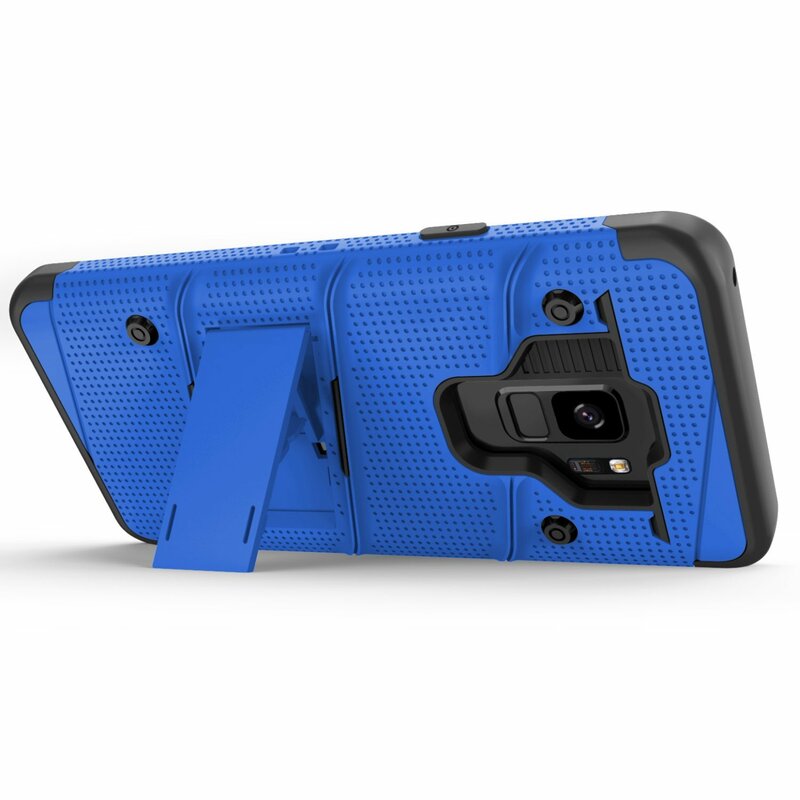 The ZIZO Bolt Galaxy S9 case has a rugged design and comes in 10 different colors. It has a matte feel to it making it nice to hold in your hand. It is also very easy to grip with rubberized sides and edges. It provides easy access to all buttons, ports, and the back camera. 2. It has military grade protection to help against drops, cracks, and scratches. We definitely recommend you apply the glass screen protector that it comes with for extra front facing protection. It has been tested to withstand drops of up to 12 feet which is very impressive. It is also wireless charging compatible. 3. 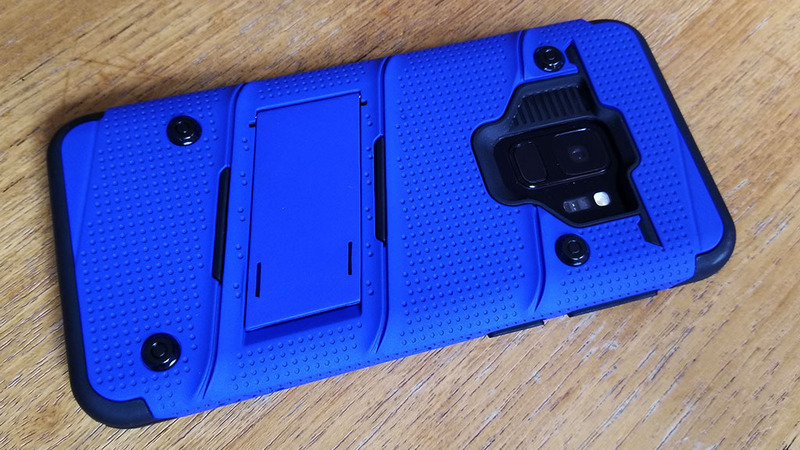 One of the coolest things about the ZIZO Bolt Galaxy S9 case is its kickstand feature. This is definitely something that can be hit or miss, but its definitely a big hit. It was made extremely well to withstand lots of pressure without breaking or snapping off. This was something we highlighted in the video you can watch above. 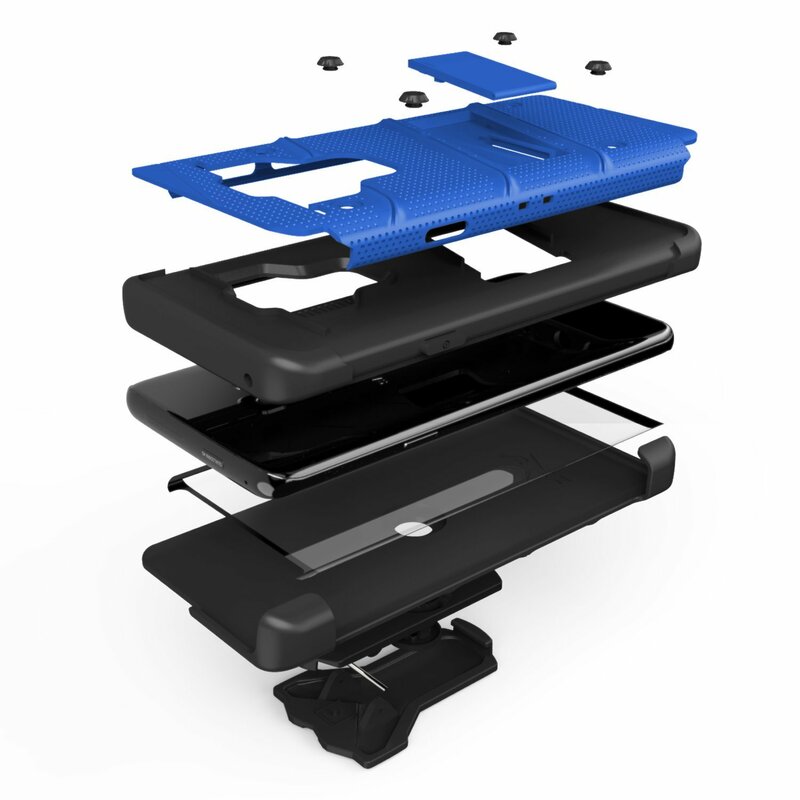 Its great for playing games or keeping your phone upright when you need to watch a video.